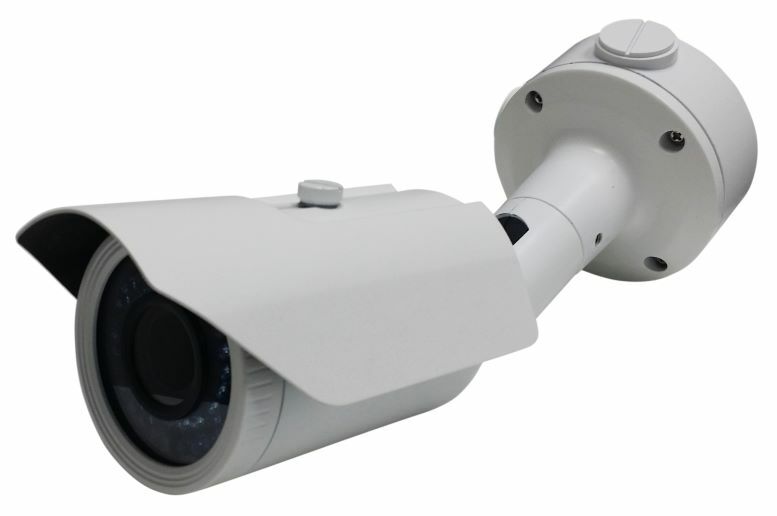 The VBIR5MP is a 5 megapixel HD-TVI security camera with 2.8~12mm varifocal lens and 42 Smart IR LEDs. Day/night function for color pictures in daytime and infrared assisted B/W pictures at night. Convenient UTC (up the cable control) for easy access to the on screen display for image adjustments if needed. The concealed cable bracket with included junction box makes installation quick and clean even if cable conduit needs to to run. The IP66 weatherproof housing makes this camera suitable for any indoor or outdoor application.